Parish ministry in a multicultural church: Where are we? In Dallas, a speaker at a Catholic ministry conference asks the assembled crowd how many people attend parishes with Mass in more than one language. Almost the entire room raises their hands. In the early 21st century, this is a snapshot of the Roman Catholic Church in the United States. U.S. Catholicism has always included substantial cultural diversity, but more than a half century ago, when the Rev. Martin Luther King Jr. described Sunday morning as the most segregated hour of the week, Catholic parishes also operated as separate (but unequal) communities. By the 1980s, however, in the so-called “gateway cities” where immigrants began their journey in the United States, many Catholics had begun to worship in parishes with multiple cultural groups, often known as “shared parishes.” By the 1990s, as new immigrants from Latin American and Asia settled across the nation, such parishes proliferated everywhere. According to a 2014 study of Catholic parishes with Hispanic ministry across the United States, 43 percent of parishioners in parishes with Hispanic ministry are actually Anglo Catholics. 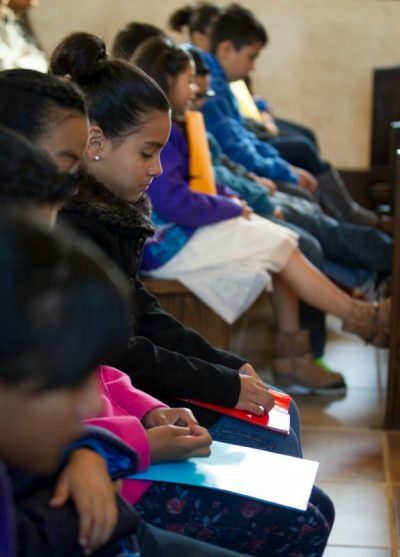 In places like Los Angeles and Miami, up to three-fourths of parishes in a diocese hold Mass in more than one language; in Midwestern and Southern dioceses, often one-fifth to one-half of parishes do. After decades of cultural, ethnic and racial groups sharing parishes, we might ask how things are going. On the one hand, for many U.S. Catholics, journeying alongside other cultural groups has begun to feel normal. On the other hand, many nonimmigrant Catholics complain vociferously about the signs of cultural diversity in their midst, about Masses in Spanish or Vietnamese, about Day of the Dead “ofrendas” or the smell of unfamiliar food in the parish kitchen. Political polarization and noisier forms of opposition to the presence of undocumented immigrants (most of whom are Catholic) has exacerbated these tendencies in our time. Sensitive to such divisions, church authorities sometimes downplay the overwhelming reality of demographic change, so much so that many Catholics have unrealistic ideas about the size or influence of groups other than their own. Even where parishes have embraced the diversity of their communities, parishioners routinely avoid one another. In one parish, parishioners would park on the street just to avoid negotiating the parking lot between the English and Spanish Masses. Eventually, however, groups must negotiate the details of parish life — sharing meeting rooms, planning multicultural liturgies, even navigating the parking lot between Masses. Societal tensions and inequalities intrude on these negotiations. People come to church carrying hurt from discrimination. They assume that difficulties, for example, in securing a job or a favorable home loan will translate into difficulties in obtaining meeting space for their ministries. Recent immigrants often feel intimidated and powerless trying to negotiate parish life with longtime residents. Aging ethnic or racial communities, including many white Catholics, feel outnumbered and therefore aggrieved, leading them to hold on to privileges within their parishes. Even so, not a small number of communities have found relative success in sharing parish life. Among those who do, there appear to be four factors that make a difference. First, such parishes learn to balance the need for “safe space” for the different groups with opportunities to experience parish life together. They do not insist on quick assimilation (which is not possible anyway). Parishioners regularly pray and minister according to their own language and culture, but they also work together selling tamales or hamburgers at the parish festival. Second, successful shared parishes work to be fair and just in the relationships between communities. In one parish, a white Knight of Columbus was the one who noted that the Christmas decorations, as beautiful as they were, were arranged by an all-Anglo committee according to Euro-American Christmas traditions; that had to change. Third, successful shared parishes make room for people’s grief over demographic and other changes, but they do not resist change. Finally, research on shared parishes shows that the vision and authority of the parish’s pastor makes a real difference. In one parish, for instance, the pastor worked hard to confuse people as to which group he favored. He never missed an opportunity to talk about the parish as a community of communities, and he (or his staff) would intervene when a group tried to dominate or needed more attention. While the pastor’s role matters, research suggests that Catholics should be wary of placing too much on pastors and their authority to adjudicate multicultural tensions. Many priests are already overburdened, and Pope Francis reminds us that all the baptized have a responsibility for parish life. Especially in these more contentious times, Catholics need to work together to form parish communities where every person, regardless of race, ethnicity or culture, has a place at the eucharistic table.